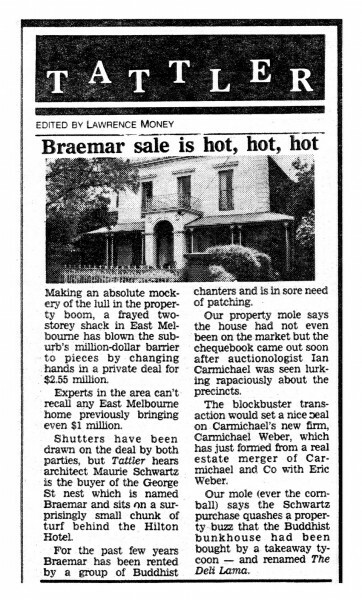 Newspaper article on recent sale at record price of Braemar, George Street, 10 Mar. 1989. Mentions merger of real estate firms, Carmichael & Co with Eric Weber.